The 49.8 metre classic superyacht _Espadarte _has been delivered after completing a major refit at the Lusben shipyard in Italy. Ocean Technical oversaw the refit which began in November 2016 and included an exterior deck restoration, full paint job and a new interior. Espadarte, which was previously known as Thea, has been fitted with excessive steel replacements and a rebuilt mast. All navigational systems and mechanical systems have been upgraded. Espadarte was built by Portugal’s Arsenal do Alfeite yard in 1968. She was originally launched as Donapila II before being sold and renamed Myrna. 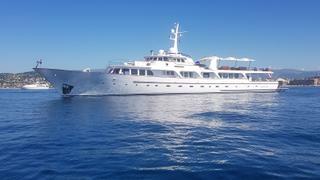 She was then renamed again in 2000 as Deerama when she was offered for charter in the Mediterranean. 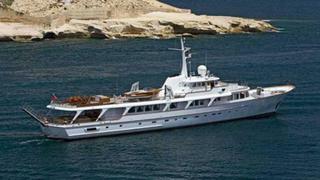 She is constructed to military specifications and was previously refitted in 1999 and again in 2005. She accommodates 12 guests with four guest cabins located on the lower deck level. She cruises at 15.5 knots and can reach a maximum of 156 knots. She has a range of 5,000 nautical miles at 10 knots.